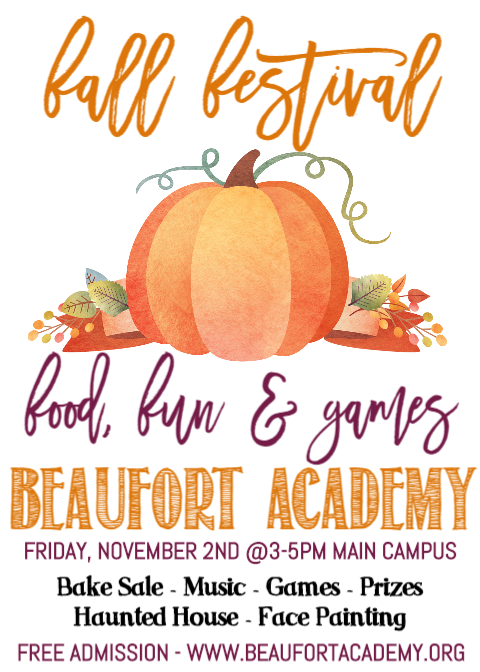 Beaufort Academy hosts the Fall Festival, a family friendly event every Fall. The event is free and open to Beaufort Academy students, family, friends, and alumni! Lots of games are played, the high school students make a haunted house, a DJ plays great music, lots of prizes, snacks, face painting, a bounce house, and you can even visit our Bake Sale with the most delicious fall treats! Love to bake? Sign up for the Old Fashioned Bake Sale below!